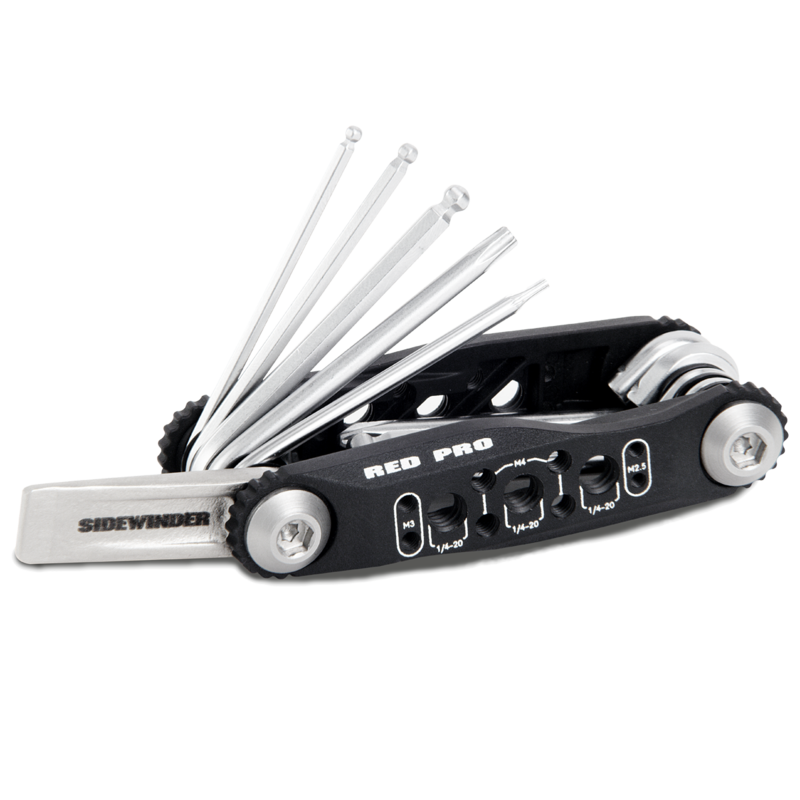 The RED SIDEWINDER® is a pocket-sized multi-tool, complete with the full array of driver keys necessary to work on your DSMC® system. Designed for even the toughest shoots, the multi-tool housing is molded from a robust and heat-resistant polymer composite and fitted with nickel plated high-carbon steel alloy driver keys. This housing includes thread guides to ensure the proper screws are used to secure hardware. RED® offers free custom laser engraving on orders of 12 or more of the RED SIDEWINDER. Customized orders can be placed by contacting RED directly, at which point a RED representative will ask you for your message to be engraved. Engraving will be done on the flat blade of the tool and is limited to 2-12 alphanumeric characters. Please expect an additional 2-3 business day processing time for orders with engraving. RED reserves the right to review and refuse to engrave certain words/phrases.